Description Rectangular ivory inlay with edges bevelled to assist insertion has guilloche pattern incised on front. A faint incised horizontal line runs along the long axis through the center of the design. 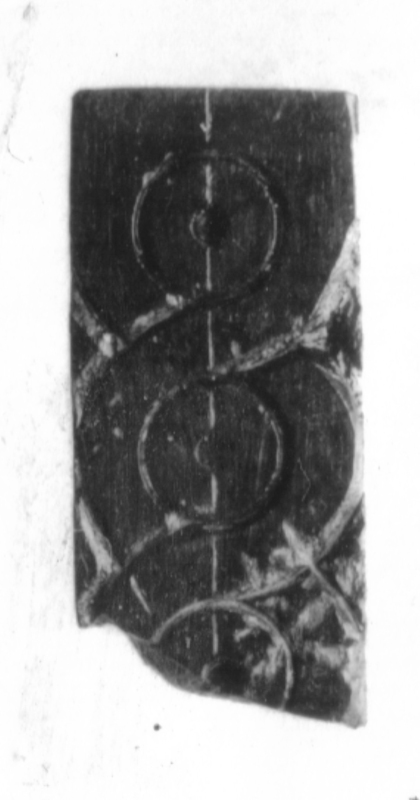 Rasp marks visible on undecorated back. Two and a third of a third cables are preserved.